Home » social » Drink Up, Columbus! When it comes to booze news, Columbus-based blogger Cheryl Harrison is your girl. She’s the founder behind Drink Up Columbus, a blog dedicated to sharing all things news when it comes to drinks in Central Ohio. Although the blog wasn’t launched until 2011, Harrison says her love for craft beer really took off in late 2010. “I started getting interested in craft beer and decided to start a space where I could share that passion for beer, and other craft beverages, as well as promote some really great small businesses in the Columbus community,” she says. While craft beer is a popular topic and something that everyone seems to have a opinion on, Drink Up Columbus was one of the first and only sources available when the craft beer boom first took off. “We remain today the only media outlet solely dedicated to booze news in Central Ohio,” adds Harrison. 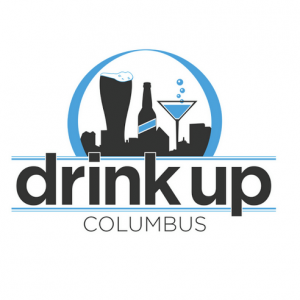 When you check out Drink Up Columbus, you’ll find that there is content that focuses on new breweries, bar profiles, brunch reviews, upcoming events, travel features, and more. And with all that coverage, Harrison says that it makes it hard to choose just one favorite blog post, especially with more than 1,000 posts up on the site. However, she says that there were a couple that came to mind when she thought back to some of her favorites. “There’s this article about the Actual Brewing’s early business plan to invent a religion and that time I *had* to get really drunk – twice – to test an IV hangover cure,” she says. As for the rest of the year for Drink Up Columbus, Harrison says that she’s currently working on an overdue redesign of the blog, which she plans to debut at the blog’s 7 year anniversary celebration in May, coinciding with Columbus Craft Beer Week in the Barley’s Underground. And speaking of anniversary parties, Harrison says that you can check out the celebration for Drink Up Columbus on May 14 from 6-9 pm. To learn more about the celebration and to purchase your tickets, visit http://drinkupcolumbus.com/party. To learn more about Drink Up Columbus, visit drinkupcolumbus.com. You can also follow along on Instagram, Facebook, and Twitter.